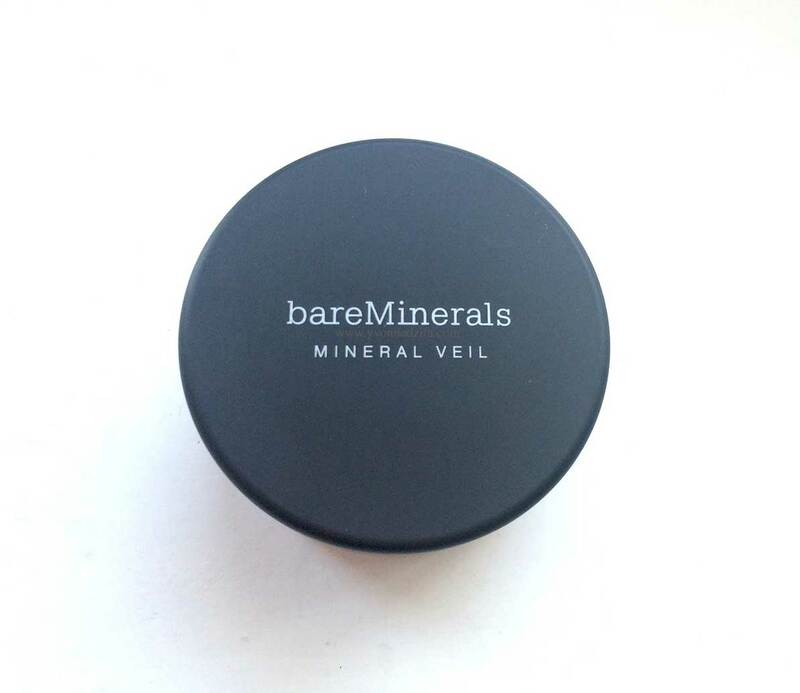 Today I’m looking at bareMinerals Tinted Mineral Veil. About eight years ago, bareMinerals makeup was all the rage! Remember the endless commercials? All of us who used it learned how to cope with a messy makeup area after every use. No matter how hard you tried, that powder left some fairy dust everywhere! But … we loved it, and so did everyone else! It’s still in makeup stores, but I don’t know many people who still wear it. I am ever loyal to the Tinted Mineral Veil though. It’s a sheer finishing powder that is not intended for a full coverage look. I wear it as a finishing powder over my makeup most of the time. bareMinerals Tinted Mineral Veil is a translucent, tinted, and lightweight finishing powder that adds a natural looking sun-kissed color to your complexion. I purchase the Broad Spectrum SPF 25. You can wear it on bare skin or over foundation. I will often wear it over a BB cream or CC cream on a light makeup day (CC creams are generally used for color-correcting your skin and BB creams are simply a light foundation with skin care benefits, but the difference between the two is usually subtle). There is a “click, lock, and go” sifter in the container to aid in product application. I use a Kabuki brush to swirl it in the container, tap the brush to rid excess powder, and apply by buffing onto my face in a circular motion. A little goes a long way. Don’t over apply or you might appear Oompa Loompa like. Just say no. I’ll also add that the company claims the product won’t settle into the lines of a more mature face. I am pretty careful when applying, and so far I have had no trouble with this calling attention to the lines in my face. bareMinerals works well with all skin types. I give the bareMinerals Tinted Mineral Veil 5 out of 5! Winner! This finishing powder blends well, controls shine and has a silky finish after an easy application. Bonus is the added sun protection! Check out more products we love: Real Techniques Miracle Complexion Sponge Review, Benefit Hoola Bronzing Powder Review, Garnier Micellar Cleansing Water Review, and How to DIY Manicure.